Family Planning NSW Medical Director Dr Deb Bateson has co-authored Pre-conception care: an important yet underutilised preventative care strategy in today's Medical Journal of Australia. The article shows pre-conception care is underused in Australia despite being an important health strategy that can help give babies the best start to life. "While recognising that not all women desire children, doctors need to sensitively open up a discussion about pregnancy intentions with women of child-bearing age during routine visits, and the American Public Health Association 'One Key Question' strategy can be a useful way to start this conversation," Dr Bateson said. "All it takes is one key question 'Would you like to become pregnant in the next year?'" Dr Bateson said. 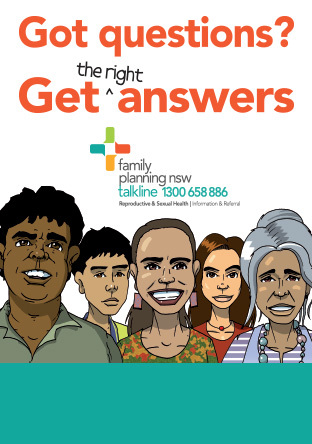 "The woman's response will then guide any follow up discussion around pre-conception care including immunisations, contraception options if needed and other important healthy lifestyle information. "We know about a third of pregnancies are unplanned which means a significant number of women can miss out on the chance to consider pre-conception care. This routine screening question really gives us a chance to support not only women who are actively attempting to fall pregnant but also those who may want a pregnancy in the future but are not currently using an effective method of contraception." One of the key focus points for all health professionals should be helping women achieve good nutrition and weight management. "Rates of obesity are increasing in Australia, and body weight is the single most important modifiable risk factor associated with adverse pregnancy outcomes," Dr Bateson said. "Prematurity, stillbirth, congenital abnormalities as well as increased risk of obesity and metabolic disease later in life are all known risks for children of obese mothers. "We want all health professionals to support women and their partners in having healthy pregnancy outcomes by asking 'Would you like to become pregnant in the next year?'" Dr Bateson said. "The nine focus areas for pre-conception care include consideration of key issues including folate and iron supplements, nutrition and weight management, oral health, smoking, alcohol and illicit drug use, previous pregnancies, chronic diseases and vaccinations," Dr Bateson said. "I'd like to encourage all doctors to support women and babies' health by sensitively asking, 'Would you like to become pregnant in the next year?'"